Just hours after the rumours started swirling, Sony has confirmed that it is kissing goodbye to PC and selling off its Vaio computer division. 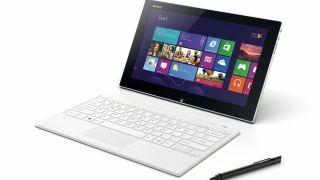 Sony's PC business will be sold with Vaio to Japan Industrial Partners. This means Sony will end "planning, design and development" of its PC products, with the final agreements to be inked by the end of March. The reason? Sony said that "drastic changes in the global PC industry" are at least partly to blame for the decision. "The optimal solution is to concentrate its mobile product lineup on smartphones and tablets and to transfer its PC business to a new company," said a press statement from the company. Instead, Sony said that it will focus on smartphones and tablets. The company also confirmed that it's turning its TV arm into a standalone subsidiary as part of its shake up. Unfortunately it'll also be cutting 5,000 jobs worldwide. Meanwhile JIP will hire between 250 and 300 Sony employees and begin selling Vaio-brand computers in Japan. All the news came as Sony announced its Q3 financials, where it said it had seen a year-on-year boost in mobile, but still forecast an overall painful net loss of 110bn yen. There was once a time when Steve Jobs wanted Mac OS X to run on Vaio hardware.